Adding special effects to your photos can breathe new life into them, create a great gift for someone, or just be a hell of a lot of fun. 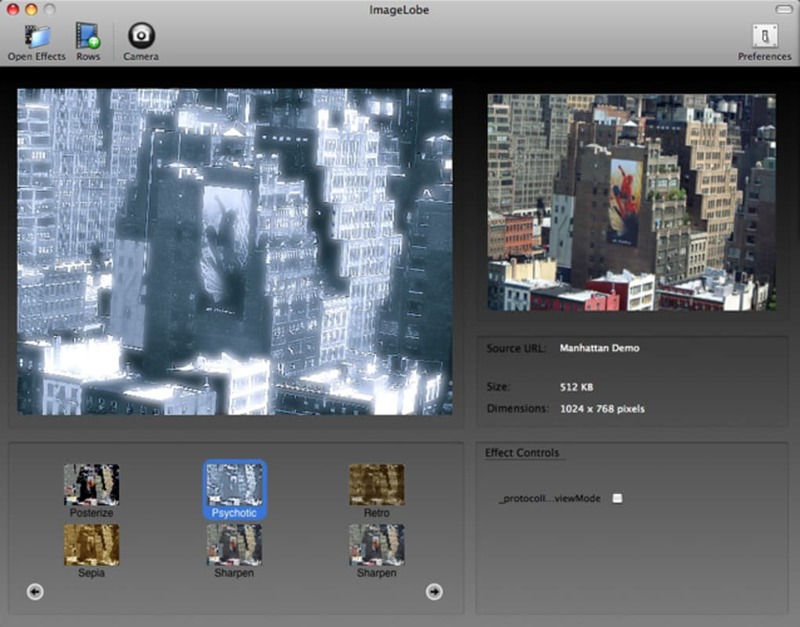 ImageLobe offers more than forty special effects that you can apply extremely quickly and have a lot of fun with in the process. Using it couldn't be easier. 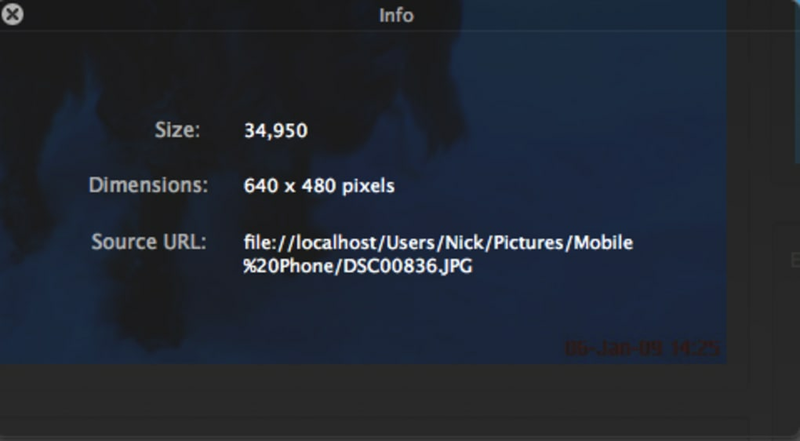 Simply drag an image into the ImageLobe interface, select one of the effects to apply from the panel at the bottom (use the arrows to scroll through them), and then drag the photo out of ImageLobe to save your changes. 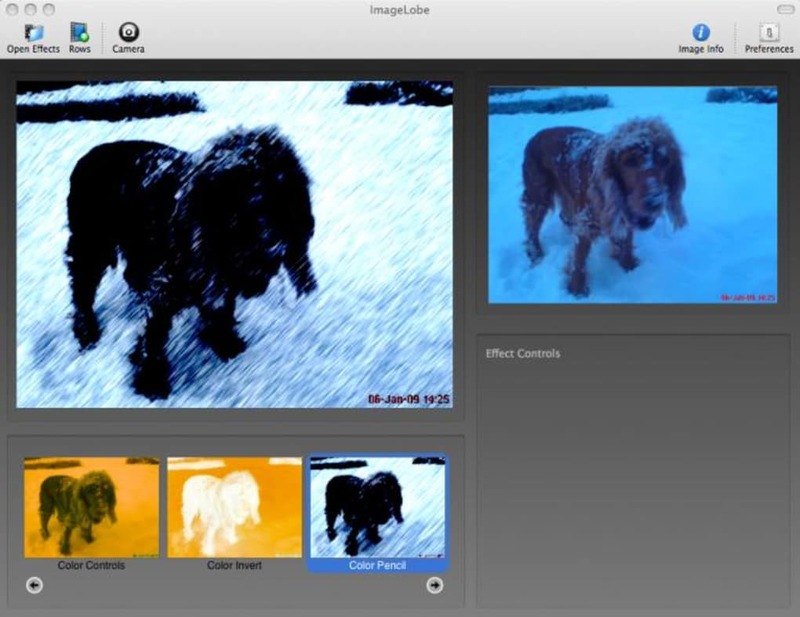 Using ImageLobe is far easier than trying to apply filters (such as in Photoshop) because it does all the hard work for you. If you've ever used Photo Booth, then it works on the same principle as that, except there are far more effects to choose from, albeit some of them are very similar. Some of the best include Line Overlay, Posterize and Bulge. 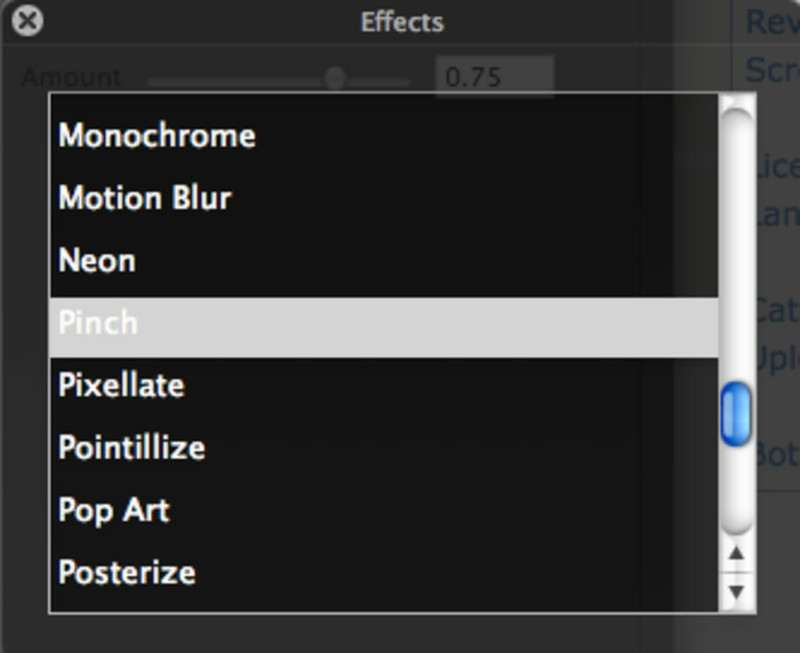 Rather than scroll through them all using the arrows, you can also click 'Open Effects' to bring-up a scroll menu instead. 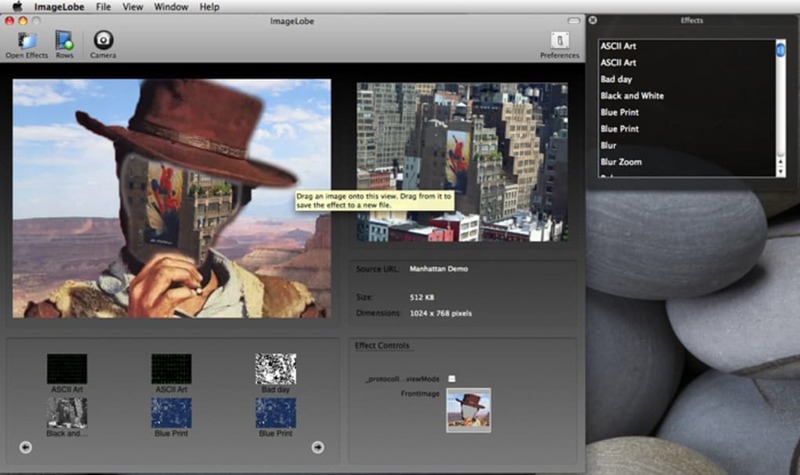 You can also activate your iSight to take photos of yourself that you can then apply effects to. 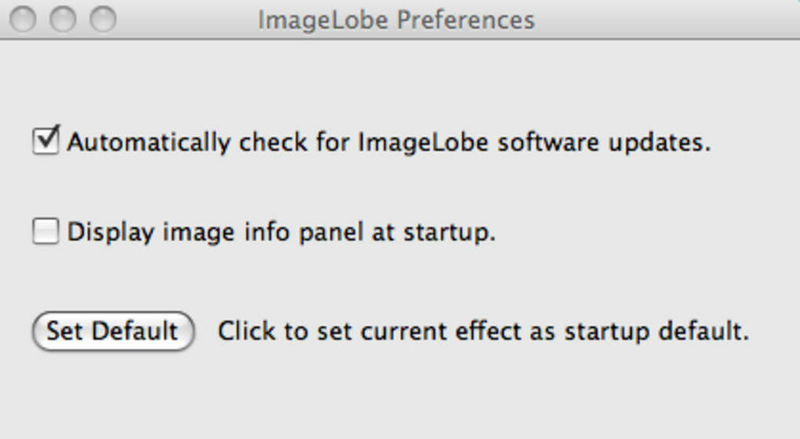 The only annoying thing about ImageLobe is the 300KB photo limit. Try to load any picture taken on anything more powerful than a phone camera and it will block you with a license purchase warning. 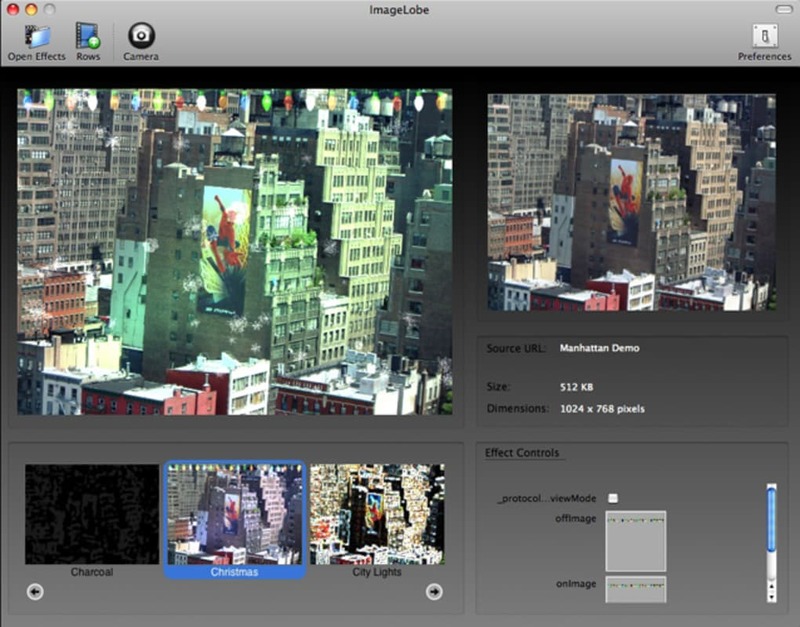 Whether it's breathing new life into images or just having a lot of fun adding cool effects, ImageLobe is a lot of fun. Tidied the alignment of controls for some of the effects. 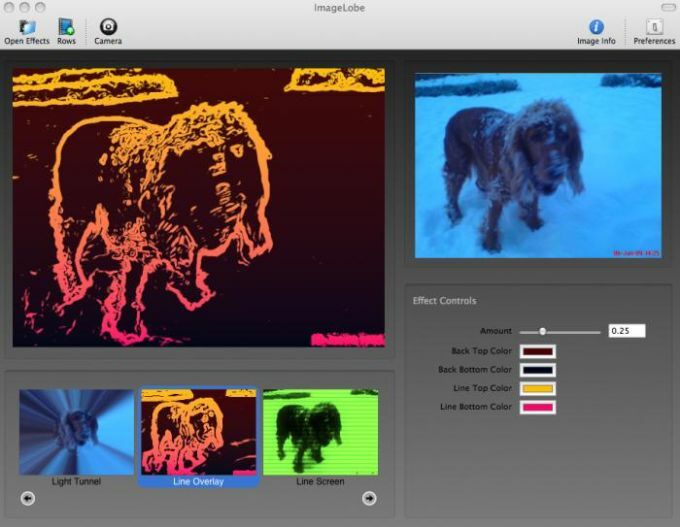 What do you think about ImageLobe? Do you recommend it? Why?